Sharing the Wisdom, Shaping the Dream: Creating the Future We Want was the theme for the SOE conference held in Cincinnati, Ohio July 12-15, 2018. Sisters Barbara Harrington and Sheila Stone, members of GNSH Earth Committee, participated in the various presentations, activities and rituals. 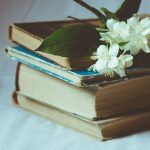 The book, Active Hope by Joanna Macy, offered the 4 stages of moving forward in these difficult times. 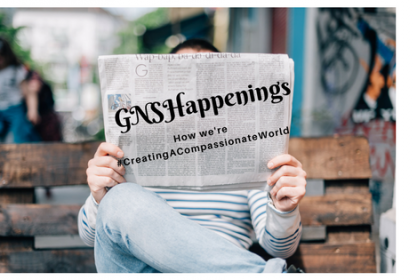 We started with coming from gratitude for the gifts of creation, moved into owning our pain for the world, examined with new eyes how we got here and what we need to move forward in care for our common home. 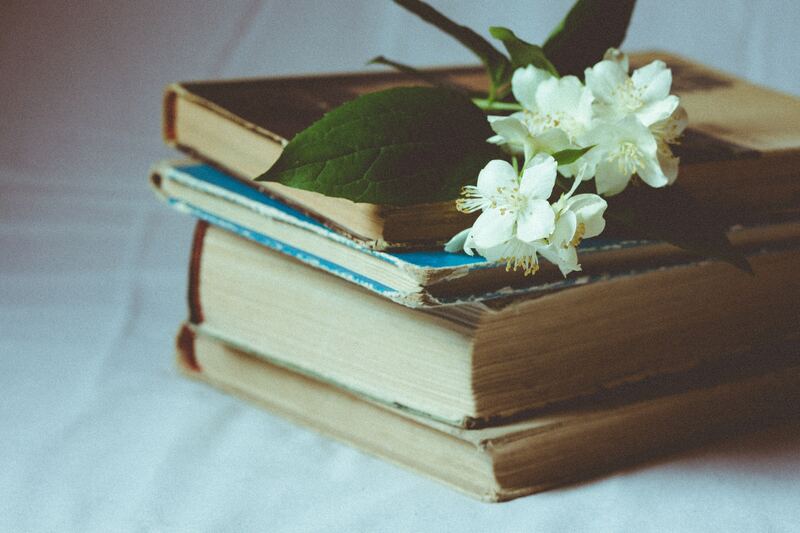 We encourage others to read this book. Another book that was suggested is Creation and the Cross by Elizabeth Johnson. Sister Rosalie Bertell, GNSH was mentioned several times throughout the weekend presentations. 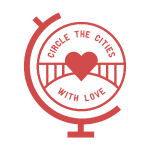 Global Sisters Report published an excellent article on the work of the weekend. To learn more, Click Here. 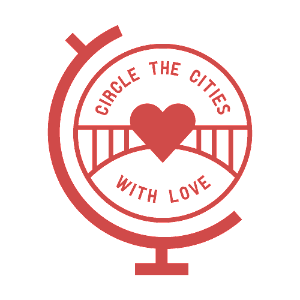 The Grey Nuns of the Sacred Heart Circled the Cities in silent prayer again this year on Sunday July 29 and Monday July 30. 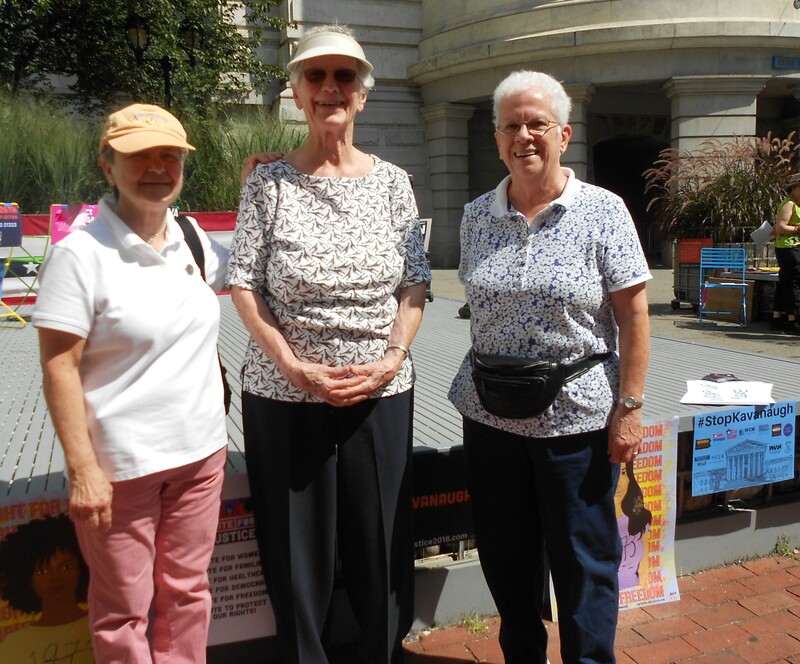 Sunday’s gathering took place at Holy Redeemer Lafayette and was organized by Sister Anne Boyer. Sister Anne was joined by Sister Diane Bardol in setting the tone for the gathering as well as introducing the concept surrounding this event. We are grateful for the warm response of our Sisters as well as their “neighbors” at HR Lafayette. There was hardly an empty space in the large recreation room! Such a big response from our friends from different cultures and faith backgrounds is very heartwarming. Monday’s time of silence took place with the Magnificat Community. Sister Diane provided a brief history of the event, and Jane Selinske lead everyone into the prayerful silence. 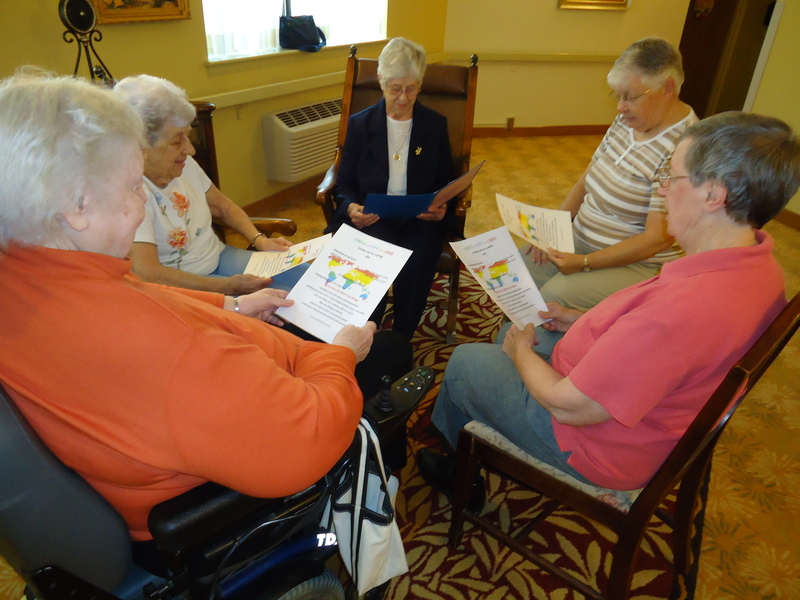 Jane advertised the event throughout the building and a few people were able to join in along with the residents. 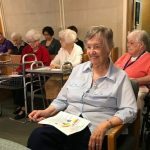 Sister Mary Sue Thomas (shown at left) enjoyed singing “The Prayer of St. Francis” so much that it was challenging to get her to end the hymn so the silence could begin! Many of our friends and benefactors express concern that our Sisters, no longer having a chapel of their own, will find it difficult to pray together. Perhaps communal prayer is not as easy as it once was, but our Sisters certainly do pray together and have been very creative in arranging their communal prayer life. Mass is offered at Holy Redeemer Lafayette a few days a week, including Sundays as well as a Wednesday Prayer Service, Friday Exposition of the Blessed Sacrament & Rosary, and Contemplative Prayer Thursday evening. In addition, our Sisters pray together near meal times every day. The prayer space is small, which also makes it a very intimate place to feel close to one another and to God. The Sisters living at the Plaza also gather regularly to pray together, and to socialize. 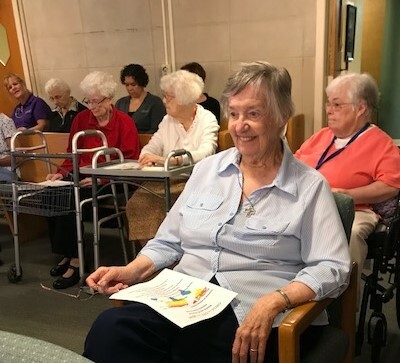 Our Sisters living in the Magnificat community and St. Joseph’s Manor, who are able to get around, can often be found in the chapel, or praying the rosary in their rooms. For everyone concerned, communal living has taken on new meaning, but our Sisters have never faced a challenge they couldn’t adapt to or overcome! We are true daughters of St. Marguerite d’Youville in that regard. 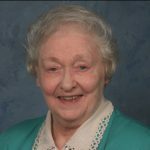 formerly Sister Mary Regis), 98, died July 31, 2018 in the 78th year of her religious life. Irene was one of 7 children, and followed 2 sisters into the GNSH. She was a teacher for 51 years! 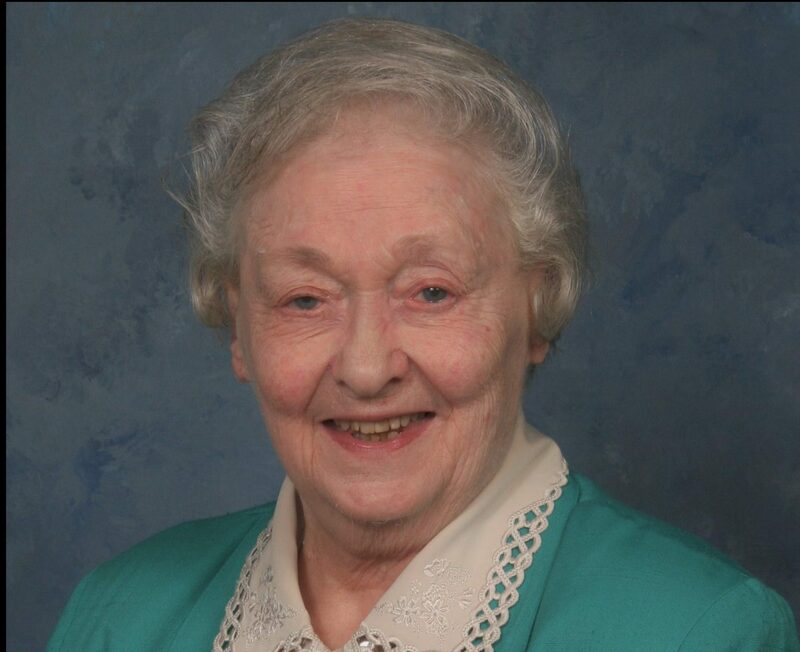 Read more about the life and ministry of Sr. Irene here. 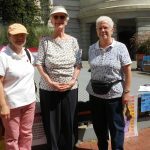 On a recent Sunday, a few Grey Nuns of the Sacred Heart (Sisters Mary Salvadore, Mary Brendan Connors and Mary Elizabeth Looby pictured here) ventured into Center City Philadelphia to take part in a peaceful protest against Supreme Court Nominee, Brett Kavanaugh. Although a Catholic, Kavanaugh should not simply be backed because of his faith. We are concerned about his opinions specifically about healthcare and the Affordable Care Act, immigration, labor rights, voting rights and democracy, and the death penalty. As with any protest, people went with their own agendas, including some we would agree with and some we would not condone. But, we do respect the freedom of all to peacefully protest and enjoyed meeting a wide variety of people. We will once again be conducting a Sock Drive for the Homeless. Beginning October 1 and leading up to the feast day of St. Marguerite, October 16, we will be collecting NEW, preferably WHITE tube socks (they fit the majority of people). We will coordinate the distribution of the socks with The Joy of Sox, a non-profit which distributes socks to shelters in the Philadelphia area and beyond. As the cold weather approaches, warm, dry socks are a blessing. Socks worn 24/7 last only about 6 months, so the need is great. Two reasons we ask that the socks be new: 1) the homeless rarely get anything that is new and 2) there are no facilities to wash and dry the socks and we cannot assume that used socks have been properly disinfected. 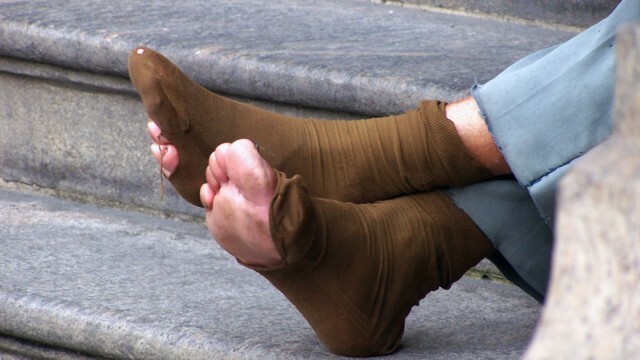 Foot disease is a significant problem for the homeless. We ask that donations be limited to adult socks at this time. As a member of the Melrose Academy alumni I feel energized reading all of the about all of the projects. I am asking for prayers for my youngest daughter as she travels to South America to continue her work with wildlife. I love the picture and story of Sister Mary Sue Thomas! We were students at Christ the King High School together. She was in my sister Marie Claire Gunning’s class.